Whether you're traveling for business or working in your favorite coffee bar, Verbatim's Bluetooth Wireless Notebook Laser Mouse is designed to work with your Apple MacBook or Bluetooth-enabled laptop – no cords, no receivers and a speedy set-up. 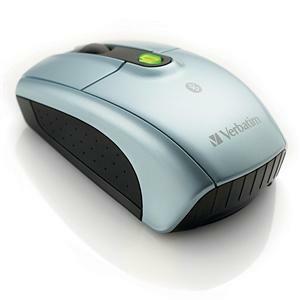 Laser technology gives this mouse super precise tracking – that means smoother cursor movement on a variety of surfaces. It also offers a tilt wheel for easy scrolling and a 3-setting speed control that lets you select a cursor speed to match your activity. This mouse is a perfect companion for your Bluetooth notebook.